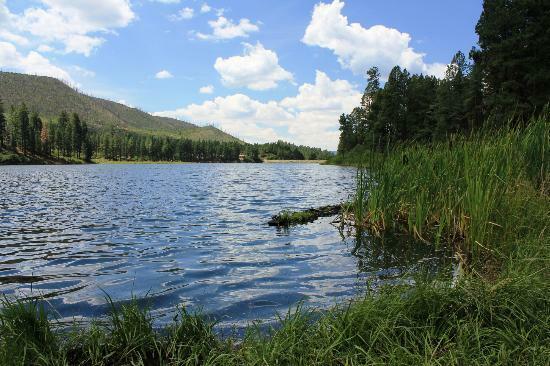 Nestled in the Northern mountains of New Mexico, Fenton is a great escape from the city and ideal spot to beat the summer heat. Offering great year round trout fishing, Fenton is sure to excite. Direction from Albuquerque, take I-25 north to Bernalillio, follow NM 550 West, continue for 24 miles to San Ysidro. Go North on NM 4 for 8 miles to La Cueva. Turn West on NM 126, ending one mile east of the arrival of the lake. The lake is now open to bank and boat fishing! Trout fishing is good using salmon eggs, powerbait and worms.